Back again with another 60 Second Beer Review, and this one is from my home town of Hobart, Tasmania. 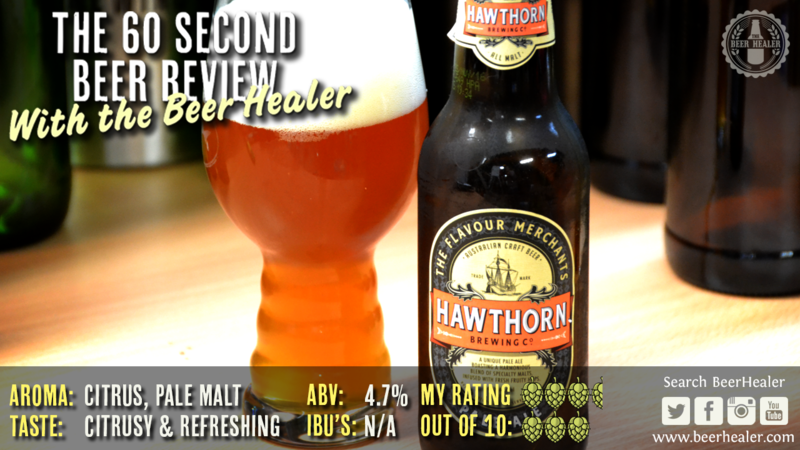 I was inspired this week to talk up the scene in my local state and wrote Too Cold To Brew – Spare A Thought For Tassie’s Brewers This Winter, and thought I would back it up with this beer review. The beer is from Last Rites Brewery and is called the “She’s No Bette Midler” Red Ale. The guys running this brewery are top lads, and this is a top beer. If you are interested in finding out more about the Tassie Craft Beer scene, take a look at the Tasmanian Beer Trail site. If you didn’t catch my video from last week, it was the Panhead Johnny Octane Red IPA. You can find it in the menu above, or click here.